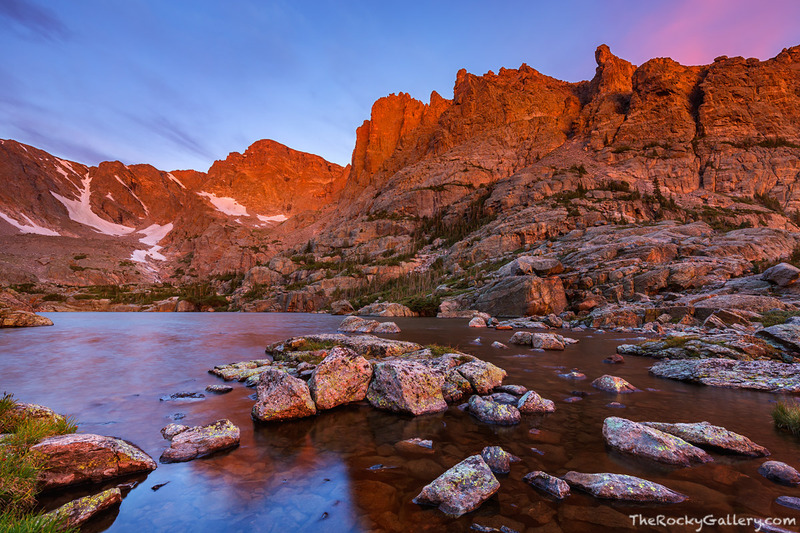 Sunrise unfolds over Taylor Peak and the Lake Of Glass high above Loch Vale in Rocky Mountain National Park. While the wind scoured the surface of Lake Of Glass the vibrant colors of the early morning sky and sun warm this beautiful location. Photo © copyright by Thomas Mangan.